This Beautiful genuine sterling silver bracelet features a celtic knot surrounding a 10mm Abalone 5 pieces on top with pure silver in between look very exclusive & it is new designed. 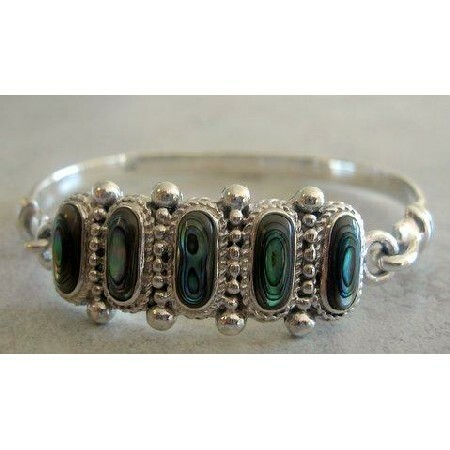 This Bracelet has Hook Clasp makes this bracelet easy to wear. This item carries the 92.5 marking to designate 92.5 sterling silver.